I was hoping that you could help ID this lizard that my fiancee found at work. We both believe it to be a leopard gecko, but having never had a leopard gecko this small, we're unsure. 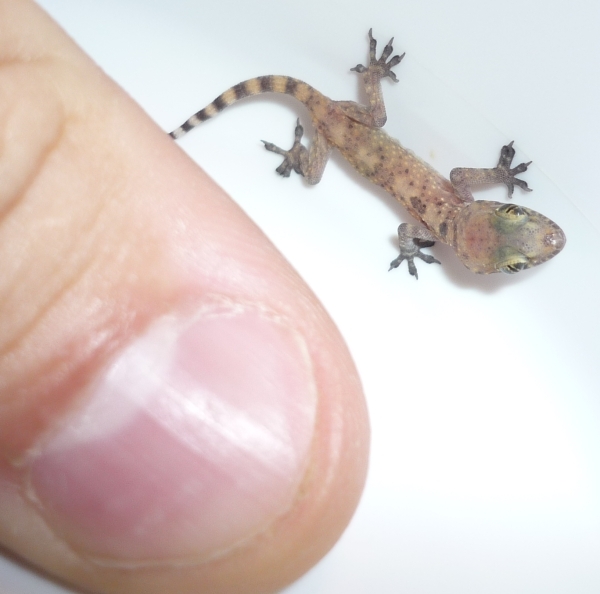 This picture shows my thumb nail next to the little fella'. I'd say the lizard is about 1 1/4" in length and VERY thin. If it is a leopard gecko, what should I be feeding him/her at this age? I'd love to save the little guy as I just lost mine last year and never replaced her.